I love making my own little spins on classic recipes. Sure, the classics are great, but why not add your own unique twist every now and then? And to any Italians reading this, I am aware of the fact that classic carbonara does not involve cream, mushrooms or any of that jazz, so please don’t butcher me. The sauce in the carbonara is simply made with eggs, egg yolk, and parmesan cheese, nothing more, nothing less. No salt in the sauce? I highly recommend that you DON’T season the sauce with salt, otherwise you’ll overpower it. The parmesan acts as the seasoning, it’s not added to make the dish cheesy. Much like risotto, I am a firm believer that you should not need to season risotto with salt either as the parmesan is enough. 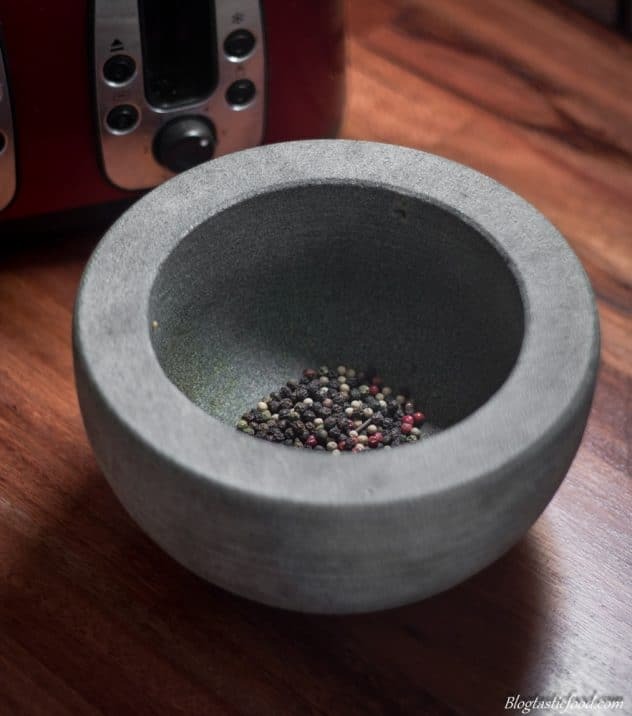 However, pepper is what makes this dish amazing. 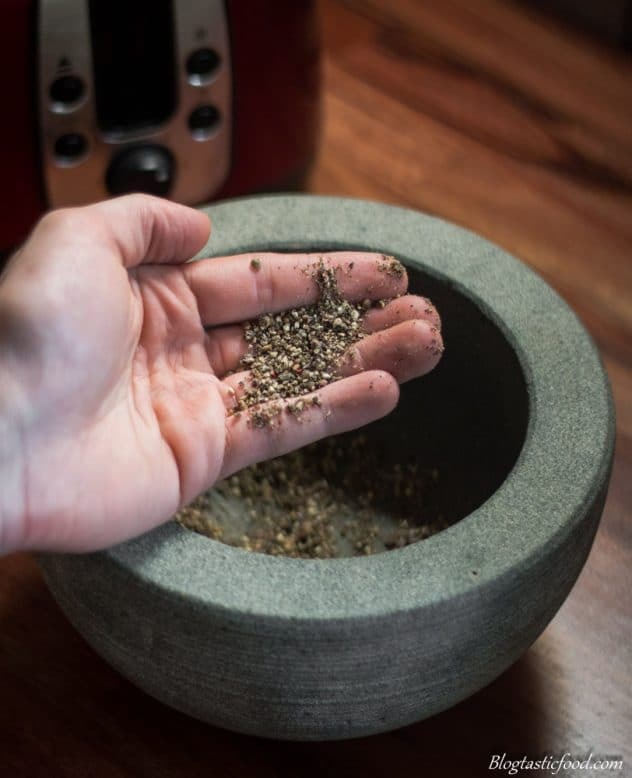 Try not to use cheap pepper that has the consistency of powder, try to get the black cracked pepper. They are like little shards of heat in the dish and it makes the pasta so dang good. 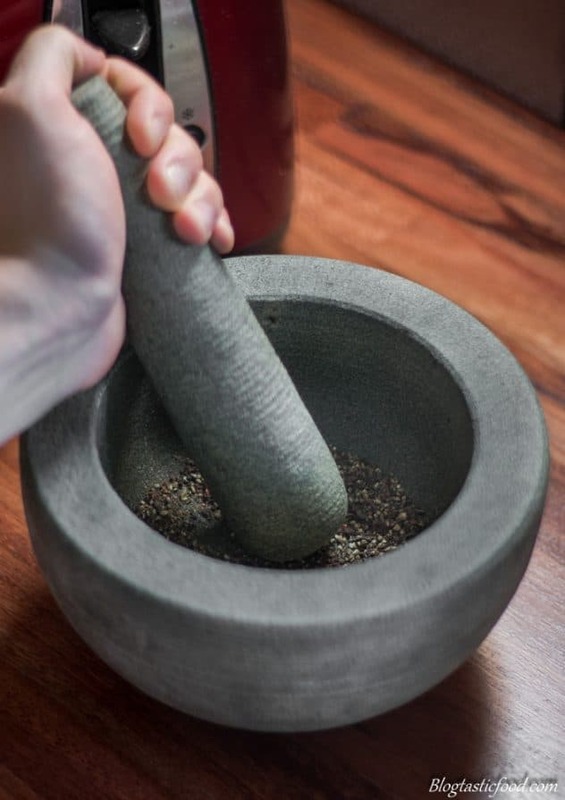 A great way to make your own cracked black pepper is to put black peppercorns in a pestle mortar and crush them yourself. Don’t crush them too fine, you want the pepper to be fairly coarse. The sauce is made up of egg, so what would happen if you were to add it to a roasting hot pan? Yep, it would scramble, we want to good the egg in a gentle, silky way. So heat control is crucial here people. 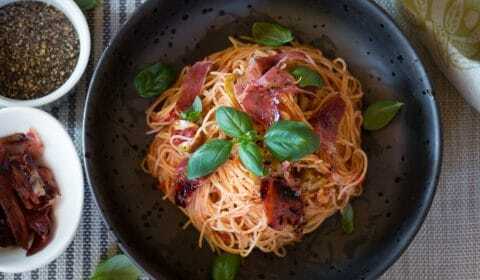 Instead of transferring the sauce to the pan, try transferring the pasta to the bowl with the sauce in it. From this point, you want to quickly coat the pasta and serve it straight away. There should be enough heat from the pasta to cook the egg content in the sauce. And at this point, you’ll probably notice why the dish doesn’t need any cream. The sauce already gives the pasta a creamy element because egg yolks are very enriching. Go for it! I didn’t add meat to my recipe, I added broccolini instead, but let’s go through what meat to add. You could add bacon and the dish would be great, you could add pancetta which would be even better but the most traditional carbonara is made with the cured cheek of the pig. It’s super fatty and comforting. Of course, this may not be very easy to find for many people so if you can’t get hold of it, or if you don’t believe it’s worth the effort, use pancetta instead. 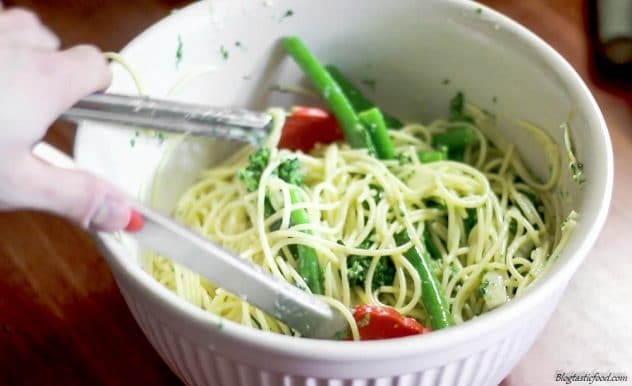 Why you should not discard the pasta water? I almost always keep the water I use to cook my pasta. 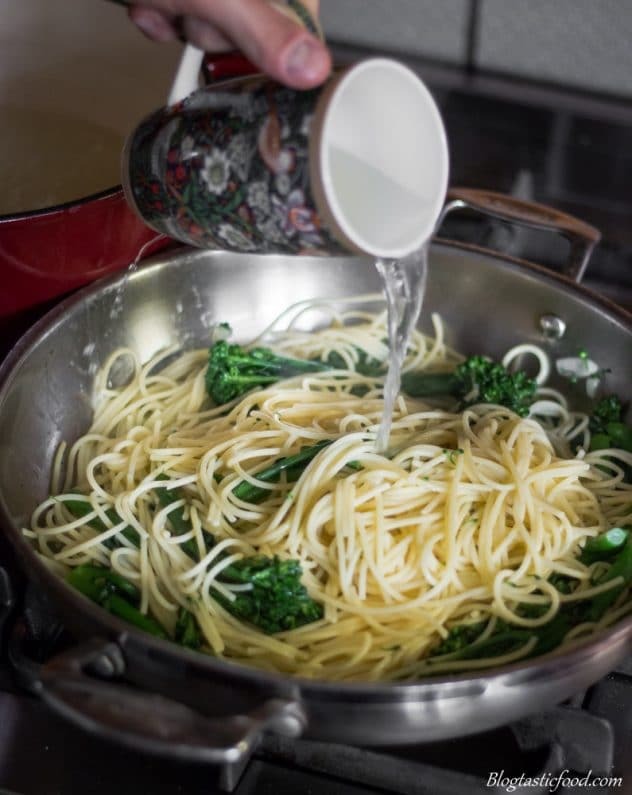 And the reason it’s so useful is because it helps prevent the pasta from sticking together when you toss it in your pot or pan, or when you mix pasta through any sauce. Why wouldn’t you just plash in some normal water? Well, because the pasta water is both salty and starchy. Which means it won’t make your dish go bland and the starch helps to loosen up the pasta, whilst also making it go nice and silky. 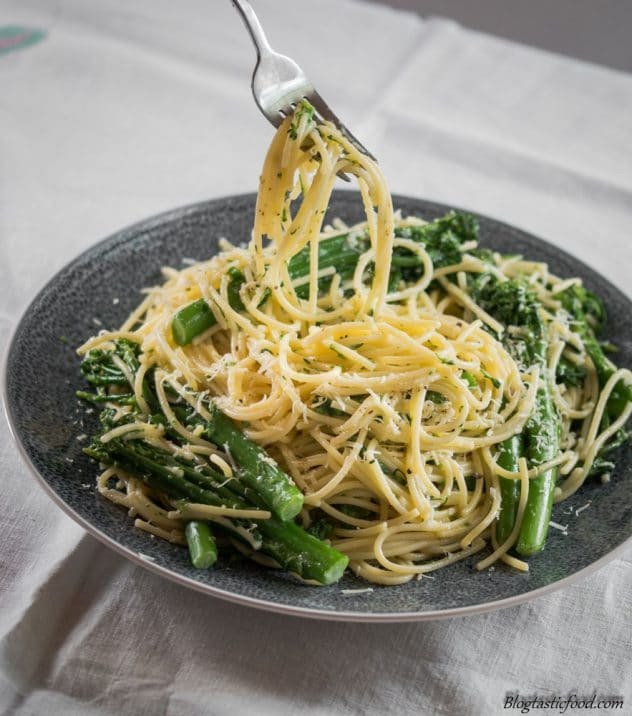 So, if you are someone that has always had a problem with your pasta sticking together and going all claggy, this is definitely a technique that will help you. As always, thank you so much for checking out my blog. I am super grateful for anyone who visited. If you’d like to subscribe, please feel free to do so. And if you want to share your thoughts, leave it in the comment section below. Have an amazing day and I’ll be posting again soon! 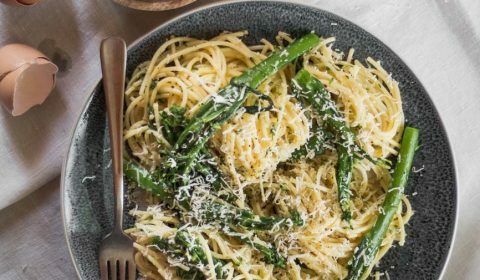 A delicious, garlicy, broccolini filled spaghetti carbonara that can be made in 30 minutes or less. 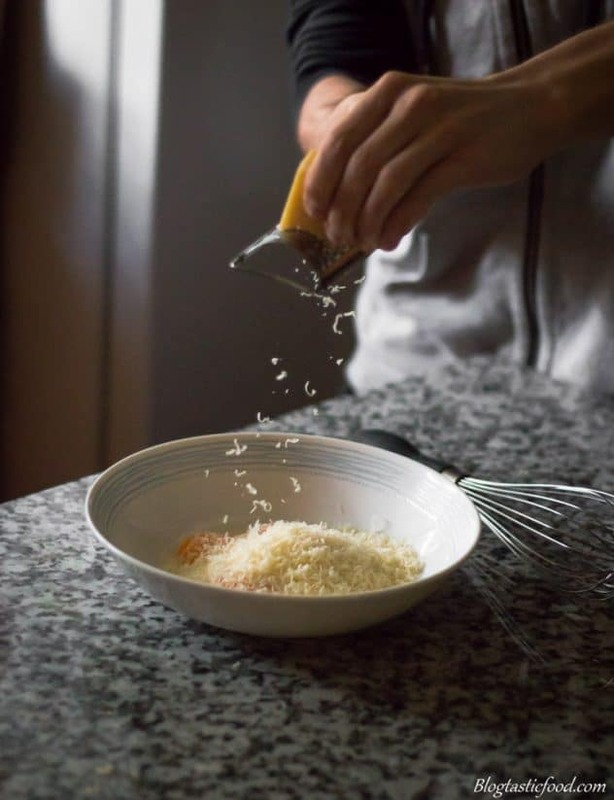 You shouldn't need to add salt to the sauce, the parmesan cheese should be enough to season the dish. If you think the dish needs more seasoning, add more parmesan. Don't add the sauce to the hot pan with the pasta in it, that can scramble the egg. Instead, transfer the pasta to the bowl with the sauce in it. If you want to add meat, use pancetta. Or if you want your carbonara to be as traditional as possible, get your hands on cured pork cheek. Don't discard all of your pasta water. Keep some because you can use it to stop your pasta from sticking together. I like to drain my pasta 1-2 minutes earlier then the packet instructions tell me to, that way you get a better al dente result. I went to buy some pancetta for carbonara at an italian stall in a market and the guy there said no no no use-a theese” and sold me some Guanciale (Cured pig cheek). Its great for it so if you can get your hands on some give that a try. Chop it into small sticks and follow the recipe as otherwise described. Nice recipe, Nic! I always love to add some heavy cream to my carbonara because why not haha. I didn’t know you also lived in Australia! Where about? 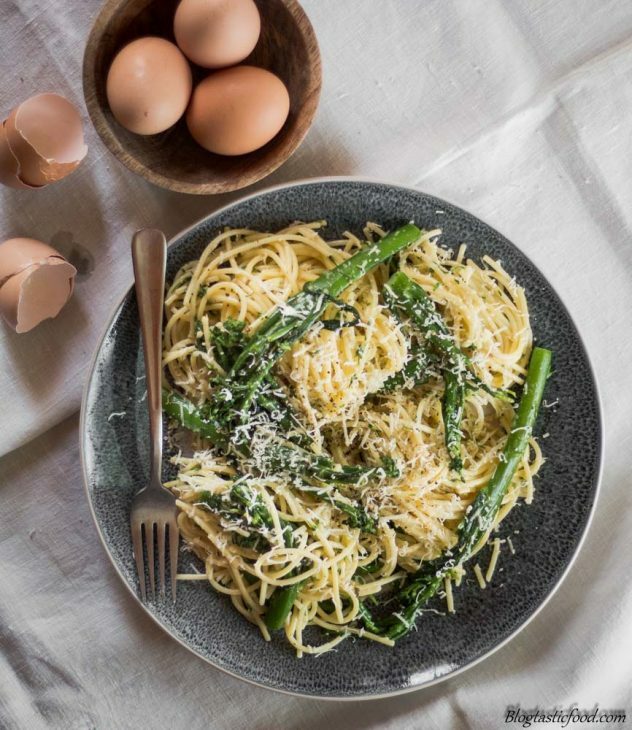 I have made a similar dish with cracked black pepper, freshly grated romano, and broccoli but this looks very interesting with the eggs, crème Fraiche and broccolini. 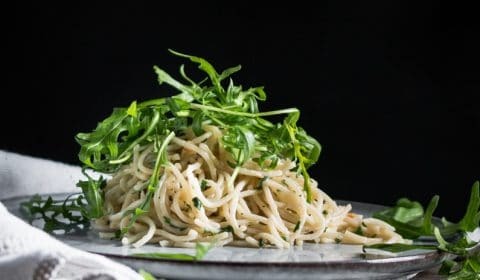 Still, I’ve recently begun eliminating carbs (due to health reasons and so very hard to do…as that means eliminating great pasta dishes and those delicious breads). If you have some recipes focusing on protein and veggies I can hardly wait to try them! 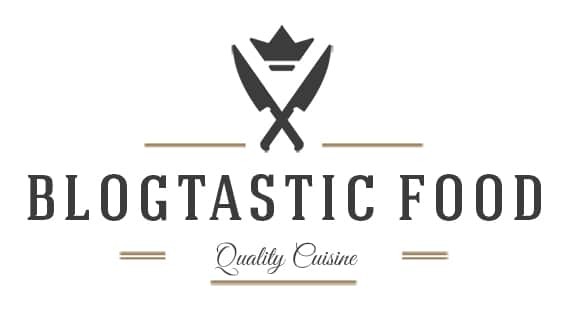 In the meantime, thank you for offering detailed photos and instructions for some awesome recipes! Great idea! I love broccolini. Hi Nick, Thank you so much for sharing this delectable dish at the Senior Salon. I have Tweeted and Pinned this as well. I fill minds with stories where you fill tummies with food. I will try this no meat version. Wonderful recipe! And so true about the Parmesan. People often don’t realize how much salt is in it already. All of your recipes look so delicious!